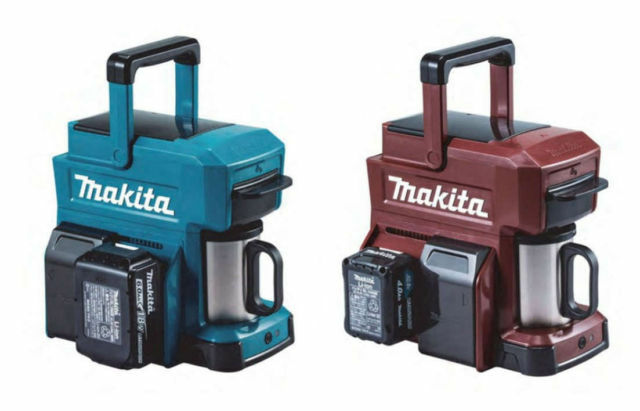 Makita power tools, has just released the new CM501D battery powered coffee maker. The new Makita CM501D Coffee Maker, created for the construction site worker, is powered by the same lithium-ion batteries as the cordless drills and screwdrivers. The Coffee Maker can make up to 5.3 cups of coffee per charge.